Dave exclaimed: "I was pleased overall. I got my PB in the last lap of the last race which was only 0.7 off the lap record and I got my first Superstock 1000 pole position in qualifying. "The rain over the weekend helped to develop a good wet setting for the bike and I kept it upright despite some very mixed conditions on the Sunday. The drying track meant I absolutely destroyed a set of wets in the first race and a 5th was the best I could do as I dropped back from 2nd in class. This also moved me down the grid on mega laps for the Monday so meant I had more to do off the line. "I have to give special mention to my mechanic Phil Beckworth who worked like a trojan as ever over the weekend. He's an absolutely vital part of Team Arkoni. "Race 2 went well. I lost a couple of places into turn 2 but managed to get them both back over race distance and eventually finished 3rd in Superstock which was a solid result. "Race 3 was good fun. I had to really dig deep to make up for running onto the grass at the chicane on to Bentley Straight to avoid hitting a back marker. I was only a couple of tenths to 3rd across the line but a podium just wasn't meant to be that race," added Dave who eventually finished sixth to move up to 4th in the GP1 rankings. 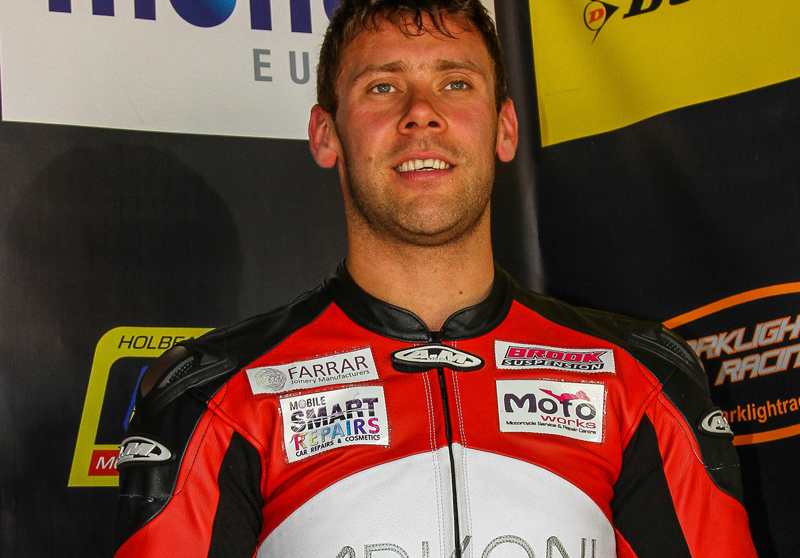 He remains in second place in the Superstock 1000 rankings. Next up for 'Brooky' is Cadwell Park in Lincolnshire at the end of May. "I'm looking forward to the next round at Cadwell Park as it is my favourite circuit on the calendar so hopefully that can bring some good results too!" he added.